A commuter rail line is set to reopen after a nine-month £130 million upgrade - but then close again because of a catalogue of errors. 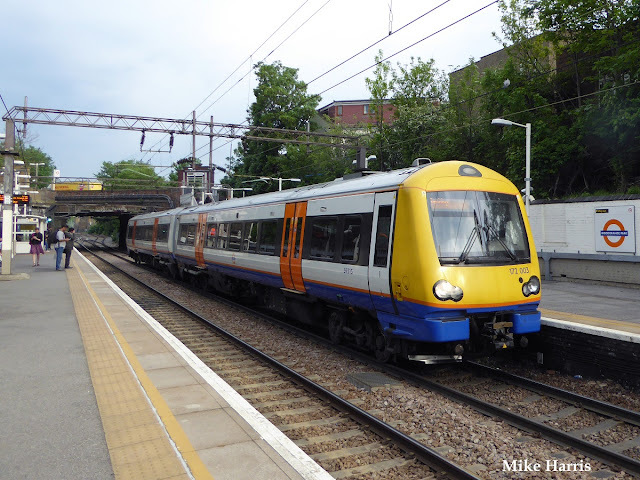 The 14-mile Barking-to-Gospel Oak line, which was used by 10,000 people a day, closed in June last year for the improvement work to be carried out. It will reopen on Monday February 27 but there will then be further weekend closures and another complete shutdown for “several weeks” - probably in August - to rectify problems including overhead power cables not fitting in incorrectly designed masts, piledrivers breaking through sewers, and construction materials not being delivered on schedule. Network Rail, which carried out the work for the line’s operators, Transport for London, has been forced into a humiliating apology and has launched a full investigation into what went wrong. TfL, which is funding the upgrade with the Department for Transport, is furious. It said it was not told about the problems until recently and is demanding millions in compensation. Electrification work for new trains to replace diesel stock, which had been due for completion this July, will now take months longer. The problems on the line, which runs through Jeremy Corbyn’s Islington North constituency, also mean more noise and disruption for residents. Caroline Pidgeon, Lib Dem leader of the London Assembly transport committee, said there had been “appalling errors” by NR and that TfL needed to explain why it had not been aware of the significant problems. She added: “Their excuse that they were kept in the dark by NR has a schoolboy sound to it, as anyone living close to the line could see their electrification work had fallen behind schedule. "It is bad enough that passengers now face further closures over a series of weekends and almost certainly another full closure for a period of time later in the year. NR admitted that overhead power cables could not be installed at various locations because they did not fit. Other problems, revealed by the line’s user group, include piledrivers breaking through sewers in Walthamstow and “insufficient clearance” for overhead power lines to run under the road bridge at Crouch Hill station. The bridge may now have to be raised. Network Rail said its project team had been instructed “to deliver a robust plan to finish the work... a full review into what went wrong has already begun”.